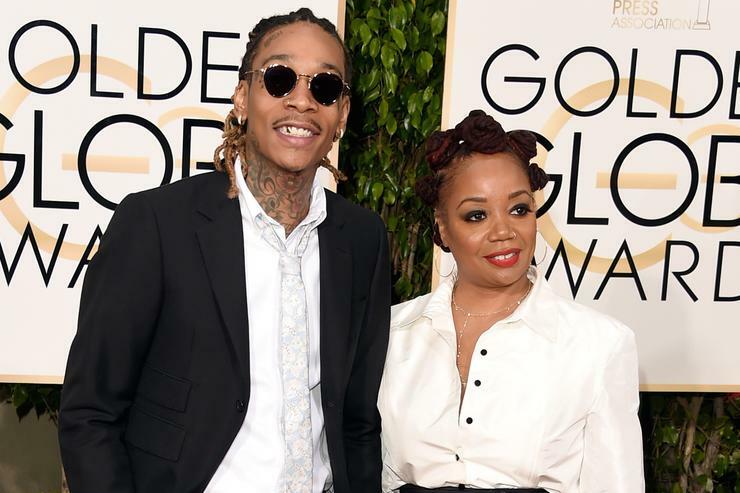 Here's how 13 rappers showed their mom love after they found success. Happy Mother's Day y'all. Mother's Day has always been one of our most cherished holidays. How do rappers celebrate their mothers? We asked 13 rappers what they bought their mom after they received their first big check. See how they showed their mommas love below and be sure to let your mom know you love her today. "After receiving my first big check, I bought my mom some diamonds and helped fund some updates for her house. I still contribute each day, just so she knows that my appreciation for her has no end." "Right after 'Black & Yellow' came out I sent my mom a one-of-a-kind Louis Vuitton bag. I was on the road so I couldn't be there with her but she was so happy." "I gave her a check! Cash money! What every mother wants." "My mom is into experiences so I took her to a Beyonce concert at Essence Festival. She’s a huge Beyonce fan, loves to travel, and we used to live in Louisiana when I was really young so it was cool going back. It was actually her idea, I asked her what she wanted. Shout outs to the good moms, I love my mom, I want to wish her a good Mother’s Day. Everybody should appreciate their moms." "Shiiiiiiid... everyday is like Mother's Day for my wife. But I did cash out on a white Porsche Panamera for her a few years back. Just like the one I had." “When I was younger and super good at basketball, my mom used to say, *high-pitched voice* 'When my baby gets to the NBA, he’s gonna buy me a tennis bracelet!' But I told her, 'I’m a rapper, mom, I don’t want to play basketball no more.' She was like, 'What?!' So when music started to go well for me, she changed her to tune to *high-pitched voice* 'When my baby gets signed, he’s gonna buy me a tennis bracelet!' *laughs* So when I came into some money I went to a jewelry spot she liked and bought the most expensive one they had. She started crying. I lost my mom six years ago so all I’ve got to say is: love your mom while you can, you only get one." "For Mother's Day I'm spending a lot of money. I have a show that day so I'm buying gifts now. My mom already got everything so I'm getting her a Gucci bag and some flowers. And I'm getting my grandma a smart watch for her Android." "In 2010 I was locked in Santa Clara County, but I was still getting checks and pressing up CDs and getting money from iTunes, etc. so I had a lot of money on the books. I spoke to my mom one day and she said she needed her mortgage paid, so I paid her mortgage off as her Mother’s Day gift. Shout out to all the single moms who play both roles in a kids life because it's not that easy. "My first gift to my Mom after starting to make some money was a gold necklace and a Louis Vuitton wallet." "Unfortunately, my mom had already passed of cancer when I got my first REAL paycheck so I didn’t have a chance to really spoil her. But when I started getting a little money, I would always get nice purses for her birthday. She always made sure I had the things I wanted growing up. She was my best friend. At the end of the day, I would not be anywhere I am without her love and her being super understanding about the lifestyle that has made everything possible." "The first big check I got was probably for $60,000, but the IRS took most of it. I owed taxes for a lot of years and one day, they came for me, like I was in the movie 'Fugitive', threatening to seize everything. I ended up making a deal, where I gave them $40,000 from my check and worked out a payment plan. I used the remaining money to buy my mom a car. I’ve been buying my mom cars ever since. My mother taught me music so if it weren’t for her, I would ever have a job being a musician. My mom represents all the good in me." "I sent my mom and my aunt on a cruise on the Bahamas. It was one of those booze cruises and they tore it up! They like to drink so it was perfect for them. My mom was like, 'You don’t have to do that' because she thought it was too expensive but it was gratifying to be able to do stuff like that. I’ve given my mom a down payment for a car and I always send her spa certificates. I’m a momma’s boy. My mom is a single parent who raised three kids on her own so Mother’s Day is like her second birthday. Stream Death Grips' New Album "Bottomless Pit"